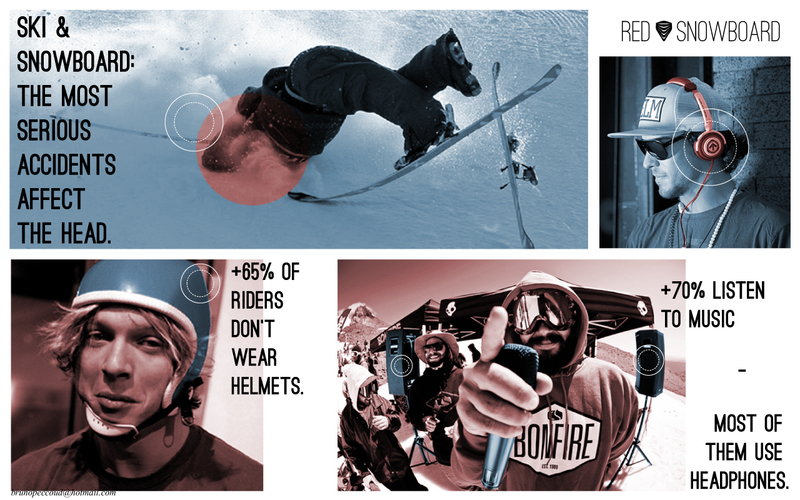 After a survey and many observations in various French Alps resorts, I realised that most of the best riders on ski slopes perfer to listen to music with headphones than to wear a helmet. Sometime they use earphones but it is not appropriate for this extreme sport and it hurts after a while. 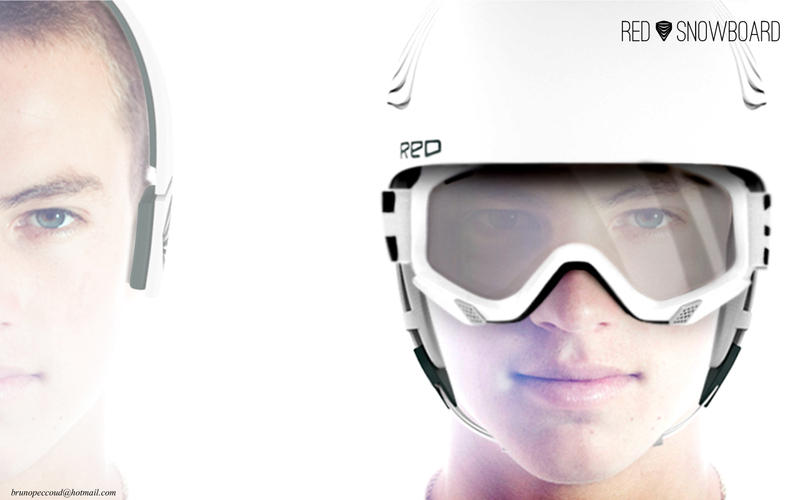 This innovative helmet designed for RED Snowboard allows you to ski in security while listening to music thanks to its integrated headphones easily inserted into the foam plastic of the internal part of the helmet. 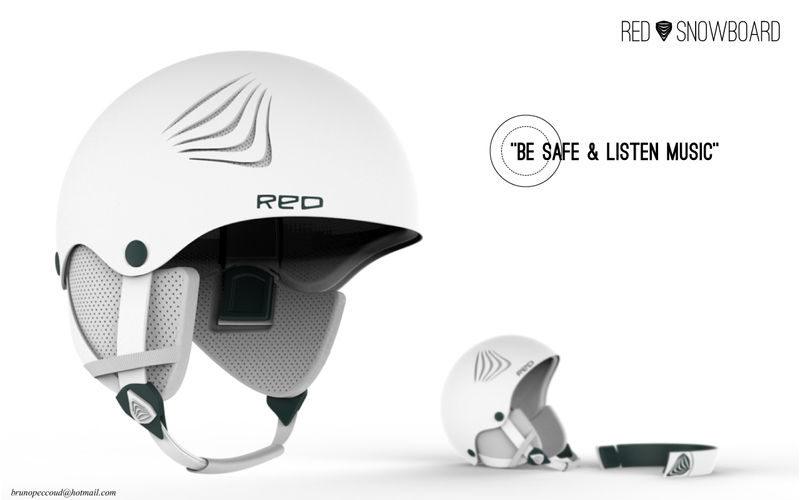 It doesn’t move, it prevents you from injuries in case of crash and it avoids ear and head compression providing you a perfect confort. The main advantage of having removable headphones is that you can use them for different activities; the riders don’t need to buy a second pair for the following summer. 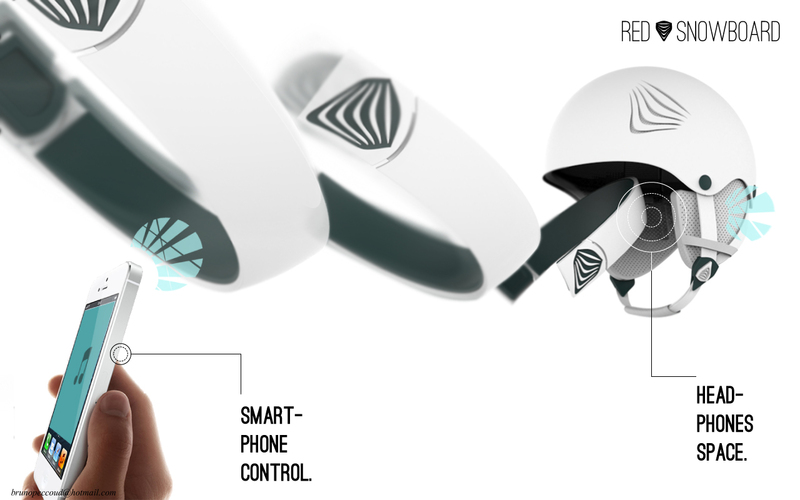 They are rechargeable by induction and connected to your smartphone by a wireless system. No more wasting time hiding the wire under five layers of winter clothes and without any risk of disconnecting the cable with every sudden movement. 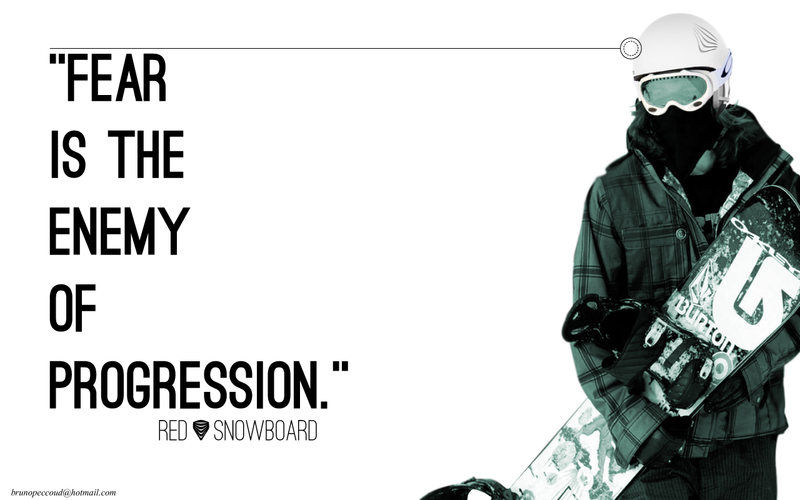 Just enjoy the ride being safe and stylish. Great Work Bruno , The renders are amazing too.